A U.N. panel expressed concerns Thursday about "the high level of violence, sexual abuse and exploitation of children" in Japan in the wake of the death of a 10-year-old girl in Chiba Prefecture due to alleged maltreatment. 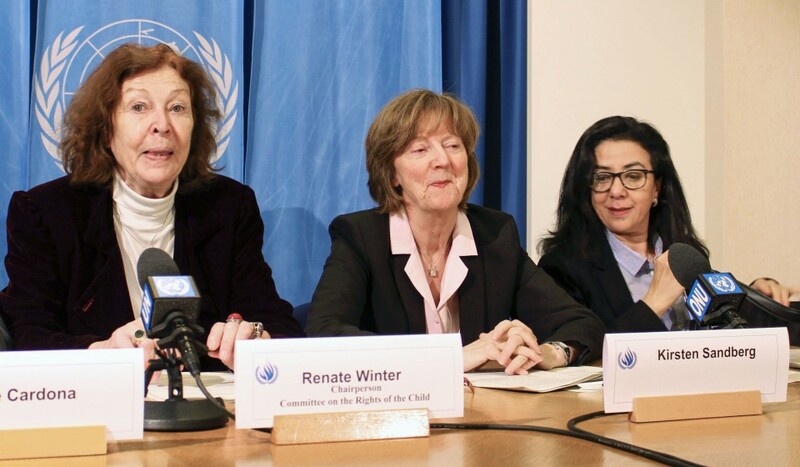 The Committee on the Rights of the Child called on the Japanese government to "prioritize the elimination of all forms of violence against children," including by putting in place effective reporting mechanisms for victims. Concerns have been rekindled in Japan over child abuse cases after a 10-year-old girl died in January at her home due to alleged maltreatment by her parents, including food and sleep deprivation. Early investigations uncovered how a child welfare center, her school and other local authorities failed to respond promptly to the girl's repeated calls for help. In its concluding report, the committee urged the Japanese government to "speed up the establishment of child-friendly reporting, complaint and referral mechanisms for child victims of abuse, including in schools, and sexual exploitation, supported by staff trained on the specific needs of child victims." The Chiba tragedy has led the government to consider steps to prevent similar incidents. Prime Minister Shinzo Abe has decided to convene a meeting of ministers on Friday to strengthen cooperation between related organizations and create a new rule to share information on potential victims. "We failed to respond to the SOS calls that the girl had courageously sent (to authorities). We, as the government, take this seriously," Abe said during a recent parliamentary session. "We recommend a 24/7 helpline that children can call as well as online possibilities for children to report incidents," Kirsten Sandberg, a member of the committee, told Kyodo News. "But this is not enough, because at the other end of the helpline there should be somebody who reacts," Sandberg added, saying the fate of the 10-year-old girl demonstrated a crucial lack of responsibility by the adults involved. "There should be a legal punishment if adults do not react," Sandberg added, before concluding that "there also needs to be a general change of attitude so that all adults coming into contact with children understand they have responsibilities." The National Police Agency reported earlier Thursday that suspected abuse reported to child welfare authorities reached a record-high 80,104 cases in 2018, an increase of 22.4 percent from a year earlier. Among the 80,104 cases reported, 57,326 children suffered from psychological abuse and 14,821 from physical maltreatment, while 7,699 children were reported as being neglected and 258 suffered sexual abuse. The U.N. committee reviews the public policies toward children of each member state every five years and then issues recommendations to improve children's well-being. Japan was reviewed in mid-January.